lol I do love pet costumes myself. This one is indeed very cute Enjoy! I still love this costume but I don't think my cat would forgive me if I put her in it! Lol!! 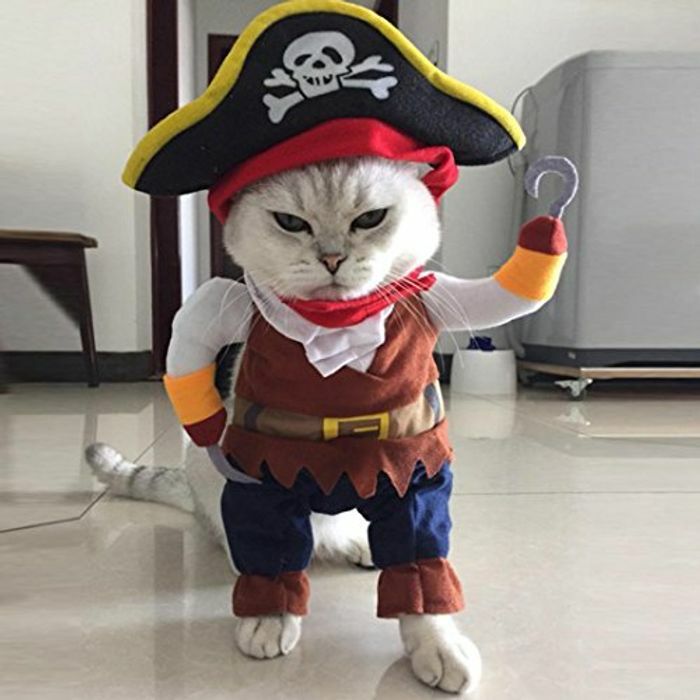 This pirates costume for cats is so funny!!! Have you seen this? Super cute! my dog gets dressed up every Halloween to come trick or treating with the children so this will be a definite! this is the cutest thing ever I need a cat so I can buy this. Ha ha I think that would be great on the cat,thanks for sharing it. Very cute but no chance of getting it on my crazy cat or puppy!